Having only recently started using Copic Markers, I don't have a real lot of stamps that I can colour with them! Winning this candy would be sooooo awesome - I can already see stamps there that I have on my wish list!! What a generous giveaway! 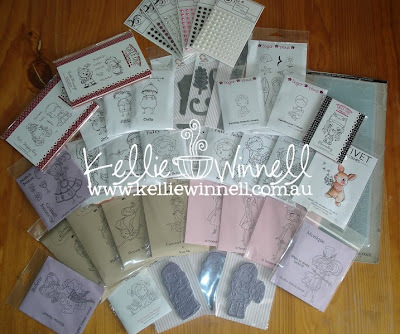 Once you've picked your jaw up off the floor, pop on over to Kellie's blog and check out her gorgeous work! Wow, wow and wow! Off to check it out ASAP!